For Goodness Sakes… – Caring for the caregivers. Just a prairie girl doing her gosh-darn-best to find the light and support her fellow caregivers. 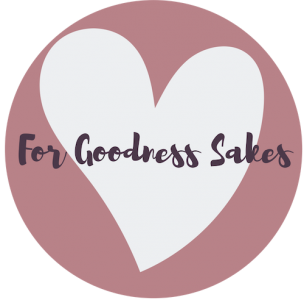 The “For Goodness’ Sakes!” Project was born out of the want to contribute to the world in a way that promotes, well… goodness. To me, the most obvious way to make the world a better place is through our work with children, and that means supporting and valuing those that work tirelessly to make the world a better place, our real life superheroes – teachers, social workers, (foster) parents, counselors, and other frontline caregivers. I believe that if we take care of our caregivers, our kids – and our future – will only benefit. It is no secret that when you empower women, you empower entire communities. I wholeheartedly believe that, in a world that consistently undervalues our frontline caregivers, if we were to actually invest in them instead, we would see a direct positive impact on literacy abilities, emotional intelligence, and general well-being in the children we care for. On our own, our work can be draining and isolating, despite the huge impact we are making on those we work with (even when we can’t see it yet!). Together, we can work to find balance, humanize each other, privilege our own self-care, and create a community of support. Here on the blog you’ll find tips and tricks for self-care, as well as essays, rants, rambles… and the occasional brownie. I hope it is able to serve you.